The RAM MK3 armoured vehicle is manufactured by Israel Aerospace Industries' Ramta division. Image: courtesy of Israel Aerospace Industries Ltd. The RAM MK3 armoured vehicle is based on a 4×4 wheeled chassis. Image: courtesy of Moebiusuibeom-en. 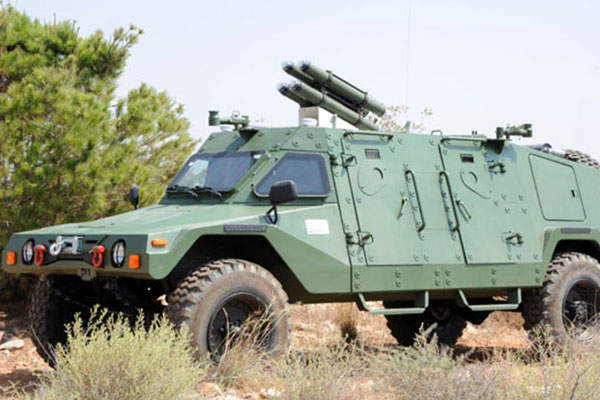 The RAM MK3 Anti-Tank variant is fitted with four NIMROD SR semi-active laser guided missiles. Image: courtesy of Israel Aerospace Industries Ltd. The lightweight, multi-role RAM MK3 armoured vehicle is designed and built by Israel Aerospace Industries’ (IAI) Ramta division. The RAM MK3 armoured vehicle can be adapted for a variety of mission needs of military, paramilitary, policing, and peacekeeping forces. More than 450 RAM MK3 vehicles in different versions have been delivered to military and police authorities worldwide as of February 2015. An order was placed by two African Military customers for 100 RAM MK3 vehicles for use in military and peacekeeping duties, in February 2015. The deliveries will continue through the end of the year. IAI had unveiled anti-tank (AT) configuration of the RAM MK3 armoured vehicle at the Fidae Air Show held in Santiago, Chile, in March 2012. Governments of the UK and Germany signed a contract in November 1999 for the collaborative development and initial production of a family of next generation armoured utility vehicles. 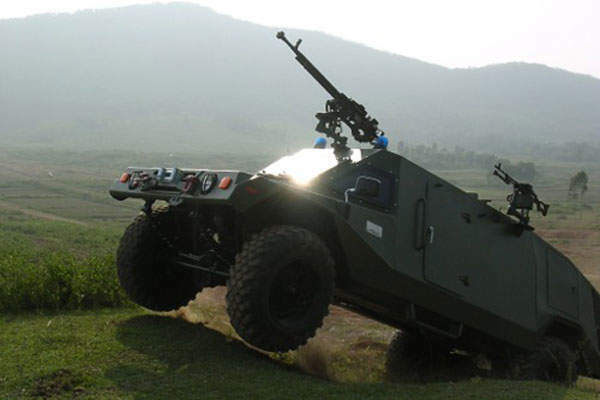 The RAM MK3 light armoured vehicle is based on a 4×4 wheeled chassis. It features a robust, flexible monocoque hull made from armoured steel. It requires low life-cycle support costs and delivers a high performance. The vehicle is 5.6m long, 2.08m wide and 2.12m high. It has an unloaded weight of 5,300kg, combat weight of 6,500kg, payload capacity of 1,200kg, and fuel load carrying capacity of 160l. It can accommodate up to eight fully-armed personnel including driver. The crew compartment has two doors, one on each side, to provide entry and exit for troops. The vehicle is also equipped with a self-recovery winch at the front. The RAM MK3 infantry support vehicle is armed with 5.56mm / 7.62mm swivel-mounted machine guns at the front and rear, on top of the vehicle. It offers increased survivability and enhanced protectionfor the occupants against ballistic threats and mine blasts. Two small armoured windows are fitted on either side of the vehicle to provide blast protection on the sides. "The RAM MK3 armoured vehicle can be adapted for a variety of mission needs of military, paramilitary, policing, and peacekeeping forces." Power for the RAM MK3 light armoured vehicle comes from a six-cylinder, turbo-charged, air-cooled engine, which generates a power output of 185hp at 2,500rpm and has a displacement of 6.47l. The propulsion unit is located at the rear of the vehicle. It also consists of a four-speed automatic transmission system, as well as a two-speed transfer case. The vehicle has a power-to-weight ratio of 27.6:1 and incorporates a 24V / 55A electrical system. It is controlled by a power-assisted steering and hydraulic power assist brakes. Its 12.5in x 20in multi-purpose tires and radial wheels offer increased manoeuvrability, even in rough terrain conditions. The RAM MK3 can attain a maximum speed of 96km/h and offers a cruising range of approximately 800km. It has a turning radius of 7.5m and a ground clearance of 0.53m. Its side slope and gradients are 30% and 60%, respectively. The vehicle also has a fording depth of 1m and can negotiate vertical obstacles at 0.8m. The RAM MK3 Anti-Tank (AT) armoured vehicle variant is designed to meet modern combat requirements. 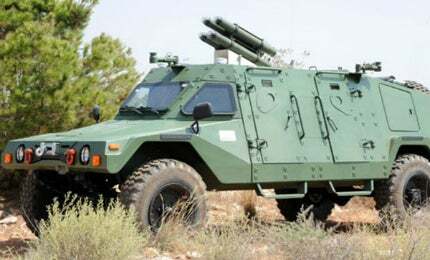 It is equipped with a quad pack of NIMROD SR (short-range) semi-active laser-guided missiles developed by IAI’s MBT Missiles division. Its crew compartment is configured with two doors having small windows on both sides.